It's hard to sew and quilt when it's sunny and HOT outside. I admit it, I'm a foul weather quilter! But really, I can't garden, ride, swim, hike, mow lawns, etc when there's snow on the ground. And next week I'm heading off to music camp at CAMMAC, so life is busy. 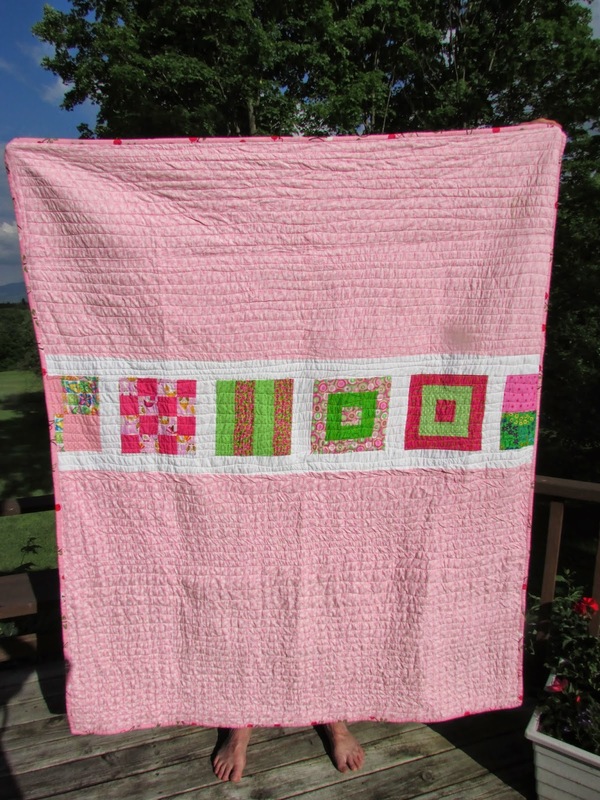 But, I realize that I have a "blast from the past" quilt that I've never blogged about. When I retired, I was very excited to get back to sewing, something that got lost in the never-ending round of children and work. I had always wanted to quilt, but didn't have the time, room whatever excuse there was, but really, I think it was just lacking the mental energy. I'm sure you all know what I mean. So my first week of liberation I took to the internet and was blown away by the creativity and excitement of fabric lines and bloggers. What joy it was to see it all. 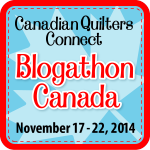 I lucked onto Elizabeth Hartmann's blog Oh Fransson, and found a quiltalong. It was perfect to get me going. 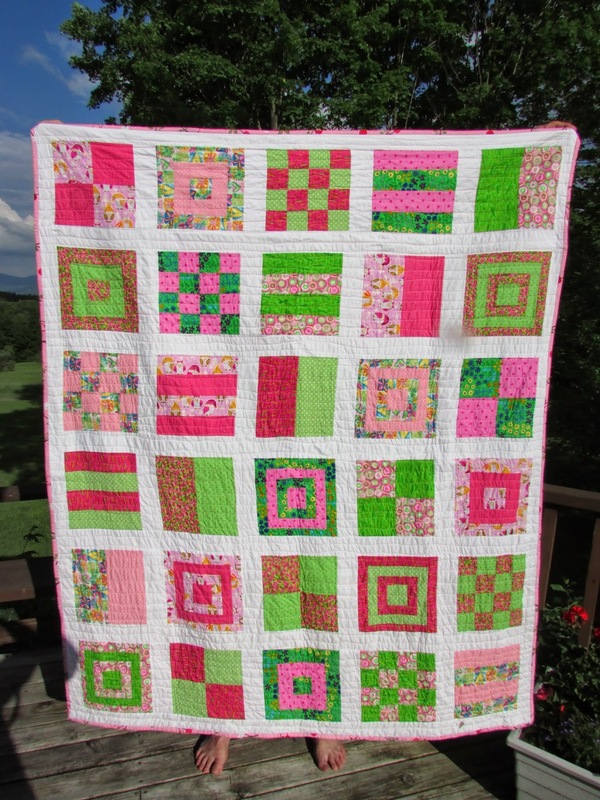 So here it is, my pink and green sampler quilt. I think I made every mistake there was to make, from buying fabric that wasn't good quality to doing matchstick quilting, but it still speaks to me of how happy I was to be DOING it, actually quilting! It now lives on my mother's bed at the nursing home and she strokes it and admires the bright colours. And because yesterday was Canada Day and it was glorious, here's the rest of my family (both kids home--yippee!) 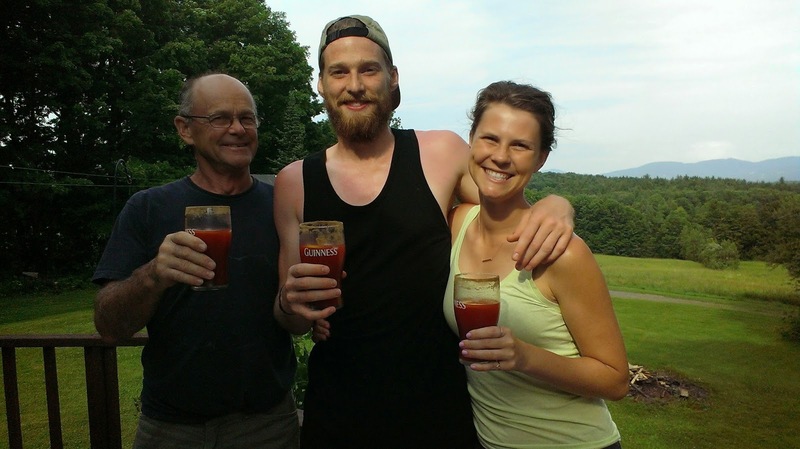 enjoying Caesars on the porch after an afternoon at the pond. Hope you all had a wonderful day! The colours on your sampler quilt are fantastic. Love your cheery "first" quilt and that you are sharing with your Mom!! 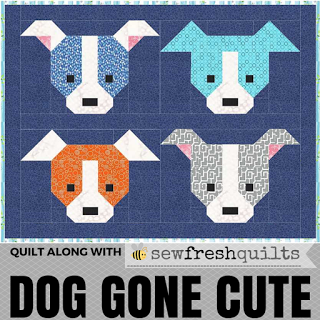 I love your quilt - you did a fantastic job of your first quilt, you were obviously a natural!